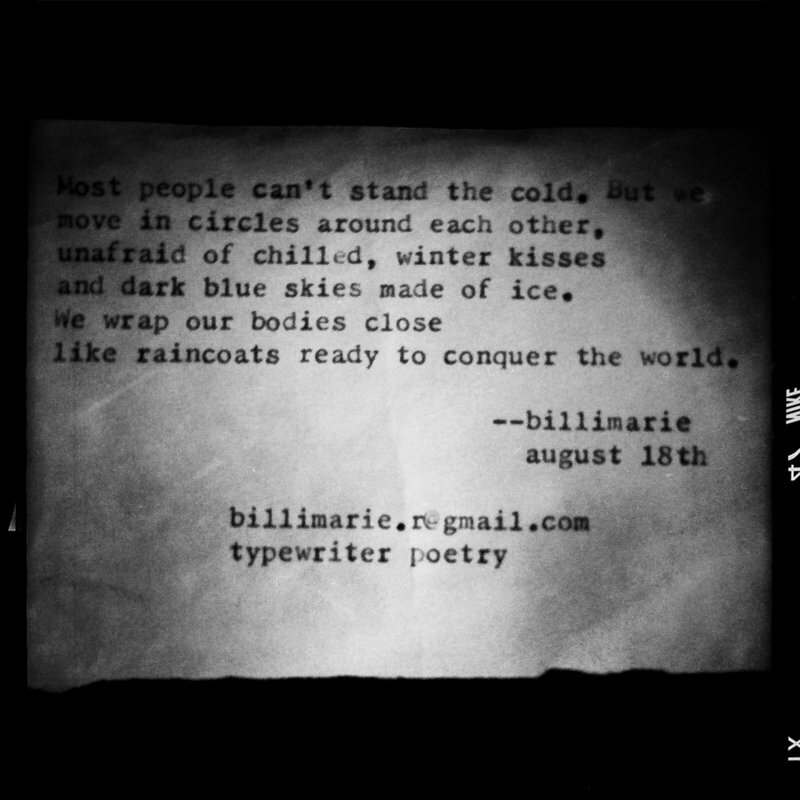 Cindy emailed me the poem I typed this for her at the Canoga Park Art Walk this past week. I think it is amazing how the photograph mirrors the actual poem. and dark blue skies made of ice. like raincoats ready to conquer the world. I really like it. The line breaks are fine but I might play with the last sentence a bit more – the conquer the world part.